This week has been a grotty one, still got an earache/sore throat thing and to add to my excellent mood now have a vice round my head too ( at least that's what it feels like). Poor husband was driven in to on the motorway by a chap changing lanes and fixing his lipstick I presume as he managed not to see the queue of standing traffic and crashed into the back of my husband's car. He has a lot of pain in his lower back and a great selection of medication from the doctors. So we are both feeling yucky. I got a parking ticket at 8pm - don't the bloody traffic wardens have a home to go to!? Not much creativity going on, just a general grumpy and out of sorts feeling. you live and learn. 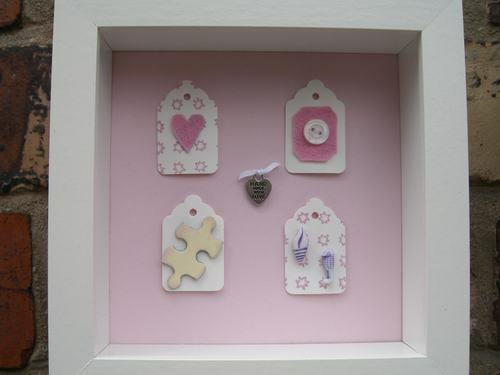 Sadly I've heard from Samantha at Plump Pudding that none of my Shadow Boxes sold at the Country Living Fair. Not a one. Nada. I still like them but am nervous about looking for other outlets, like the local gift shops, to sell them now. Will have to give it some thought, perhaps look at the design, is the price right (£20) etc. Or just consign the dozen of them to a box in the loft. Have finally finished my contribution to Sewing Seeds. 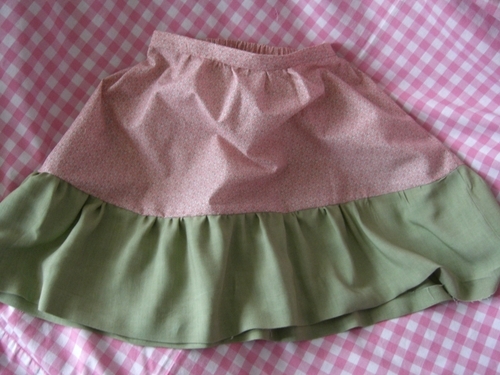 Randi at I have to say is organising a project to get together handmade skirts for the girls at the orphanage in Kenya that her daughter will be visiting in June. I've not made any clothes since O'level needlework at school many years ago and it was trickier than I remembered even though I'd got a fairly simple pattern. In fact it might have been easier without the pattern! The seam ripper has been busy but I'm happy with it now and it's good to think of a little girl far away enjoying it. Well the stall went much better than I expected, yes I know you all knew it would! 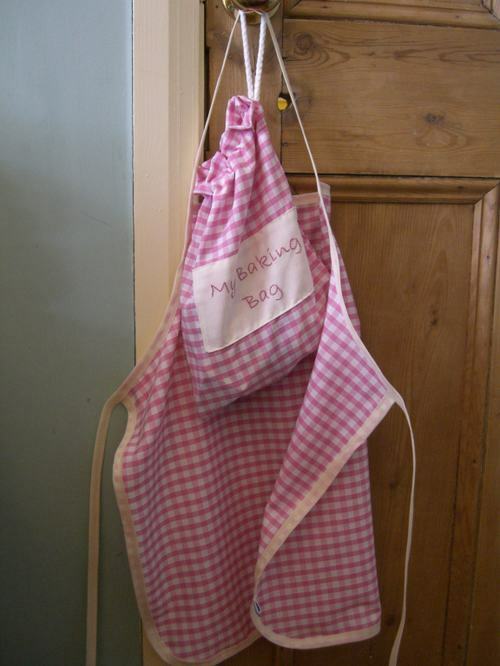 I sold the pink baking bag so I'm glad I rustled that up at the last minute, several t shirts, journals and also took an order for two shadow box pictures to celebrate Christenings. Not bad for my first go. A friend lent me a little clothing rail so I could display the t shirts and that really helped as it left room on the table for the other things and also showed the t shirts off well. I am going to research other possible fairs as well as putting more items in my little Etsy shop. It was a good evening all round as there were about 10 stalls, plenty of nibbles and of course the bar so I' m glad I live within spitting distance of the school! 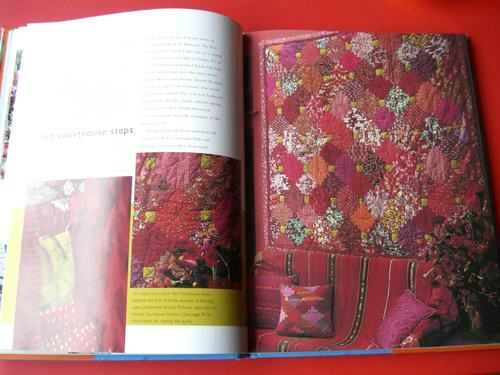 and of course his use of colour is fab, just looking at the pictures makes me drool. 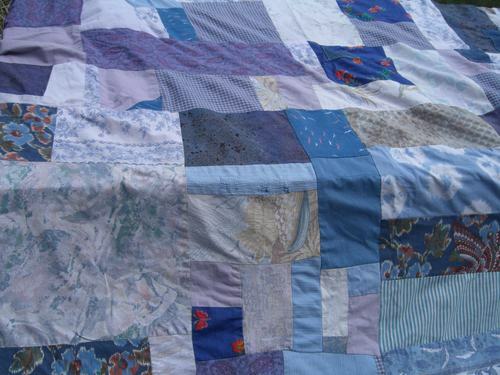 I particularly like the quilt he made from men's shirt fabrics and am planning to use a few of my husbands old shirts to try out a little quilt of my own. 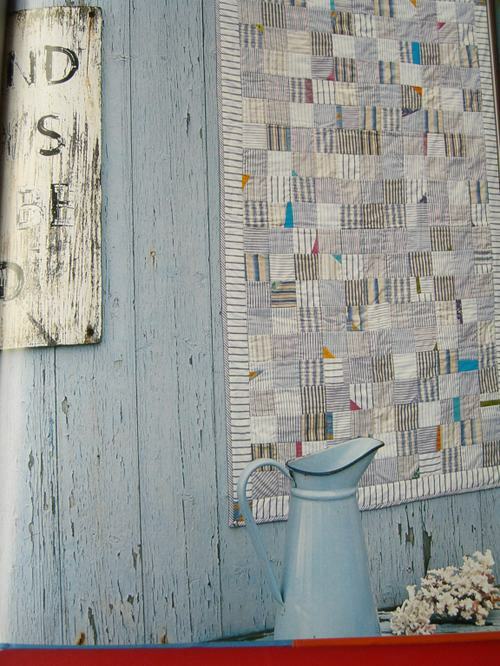 I've never made one so will need to decode the instructions as I don't know what 'in the ditch quilting' is yet! Have spent the last few days getting ready for the stall tomorrow. I'm a bit nervous about selling things I've made myself, what if people don't like them? What if nobody buys anything? My target is to sell one item to someone I don't know (friends, thankfully, are always supportive!) I'm grateful for the positive comments that have been left here but still apprehensive about Friday. I've had some postcards made ( free from Vistaprint ) and have a lovely bit of vintage gingham to cover the table with so it should look nice. Not really sure how to display the tshirts as they could do with being hung up but as I've only got a table that will be tricky. Never mind there's a bar at the event because it's during the evening so I can always have a glass of wine to steady my nerves! 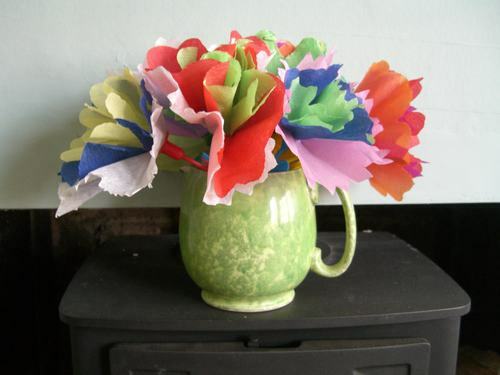 I have been invited to run a couple of craft workshops, which I'm really excited about, but it's during the Easter Holidays so the children will be off school. Not sure we'd get much done with My Little Helper and The Big Sister in attendance so I'm doing the preparations, making the samples and gathering the materials and someone else, who is a very talented crafter, will present the actual workshops. It's going to be a variation on the decorated journals I think. Hopefully will get the sample made tomorrow, along with a skirt for an exciting project..more on that tomorrow. and we shall have snow, sleet, hail and gales! No doubt to serve me right for gloating about the sunshine the other day Sunday was wild, windy and wet. The hailstones were huge and it started snowing at bedtime so I had high hopes of a snowy day today, but no it was all gone by morning. I hope you had a lovely Mothers Day, my little helper was so excited at the prospect of getting me breakfast in bed that he got up at 6.30 and so,of course, did everyone else. So I didn't get to sleep in but I did have a nice lie in and reading session. First I read Jonathan Livingston Seagull which is a fable about making the most of our lives, even if we are not going with the flow or flock. It was inspiring, positive and also very short which meant I also had time to start Blue Shoes and Happiness by Alexander McCall Smith, the next instalment in the tale of Mma Ramotswe the sensible owner of The No1 Ladies Detective Agency. As the weather was bad it was an 'inside' day but by mid afternoon the children's bickering was driving me round the bend so I took the dog out for a walk ( he was not impressed at being dragged out in the wet and wind!) because after all it was Mothers Day so I decided to please myself instead of trying to referee or distract them with a game. Felt rough with a cold/sore throat/earache combo and also melancholy missing my Mum so an hour out on my own was a good move I think. Just hope someone buys a couple! The stall isn't too expensive so the risk of loosing money is pretty low and I've enjoyed making them. 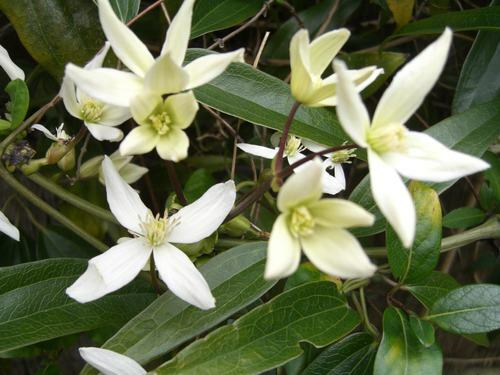 It was a lovely sunny day here yesterday, why does sunshine lift my mood? Is it because everything looks brighter, colours seem more vibrant and the warmth on my skin is comforting? Or is it because it's a sign that winter is passing? I like to get washing out on the line as it smells so fresh when dried outside. 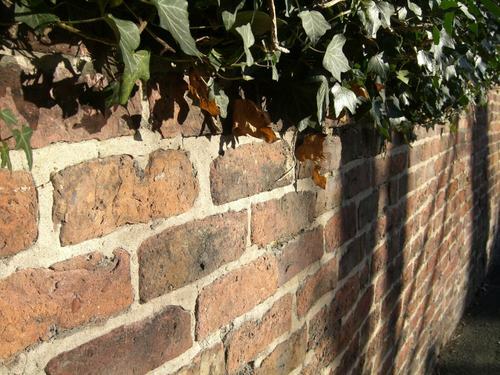 I took a look at my garden to see what was coming up and enjoyed the sun on the bricks of a wall we walk past on the way to play school. 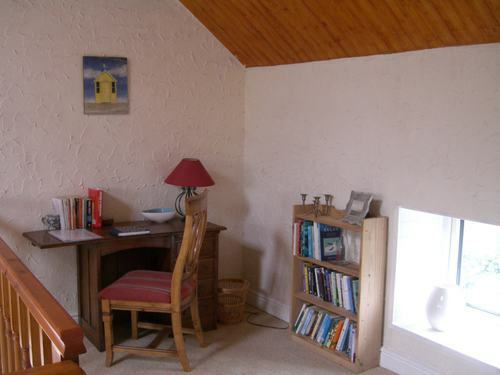 We went over to our cottage this weekend to get it ready for the first guests of the year - great a load of Spring Cleaning and I don't get to enjoy the sparkling rooms! 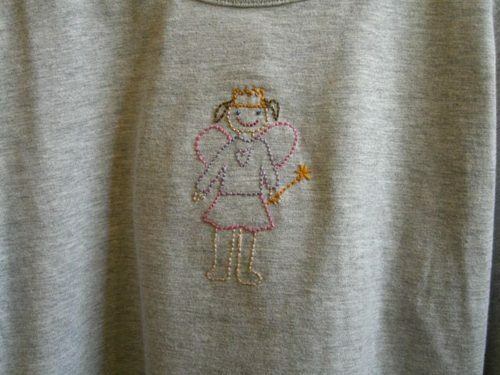 I've been t shirt sewing like mad to get enough ready for the stall next week, will take some photos tomorrow. I've also been stretching my technical skills again setting up a little shop on etsy French Knots which is very much still a WIP but gives me somewhere to direct people to if they are interested in buying my stuff. I've only put Shadow Boxes in there so far as I need to get some photos taken of other projects - another technical challenge! 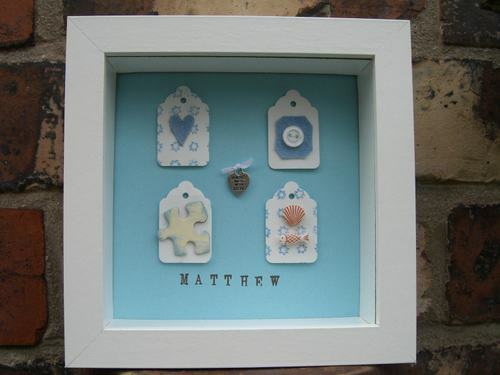 for the last few days, adapting the shadow box pictures for children. I think I need to get to grips with my camera as it was sunny when I took these pictures but you'd never guess! I'm having a stall at a PTA event at school at the end of the month so am stitching t shirts like mad and hoping that someone will want to buy them. I think I need to do some research, perhaps on etsy , to see how I should price them. 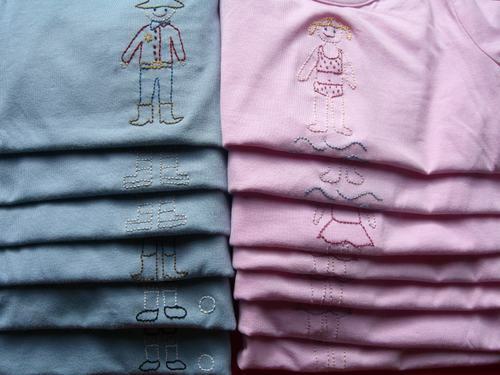 I've made patterns for a cowboy, fairy, ballet dancer, robot, swimmer, footballer and spaceman I suppose I could do a few of each and see which are most popular. Have a good weekend, hopefully we'll have more sunshine! 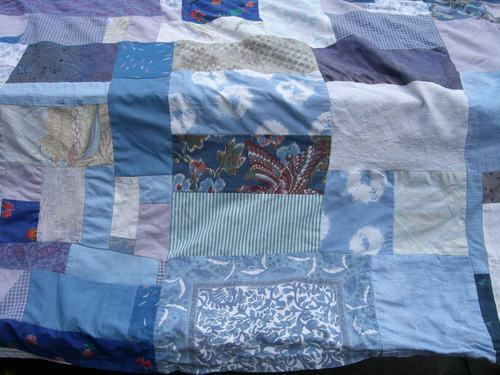 This is the patchwork quilt I bought on Sunday, it is torn and worn in places so I am going to applique on some new patches to cover the damage. There has been a fair bit of work put into this and it certainly need reviving, I think I'll embroider some of the patches too. It'll need backing with something, perhaps an old sheet, I'll have to experiment as it's not something I've done before. 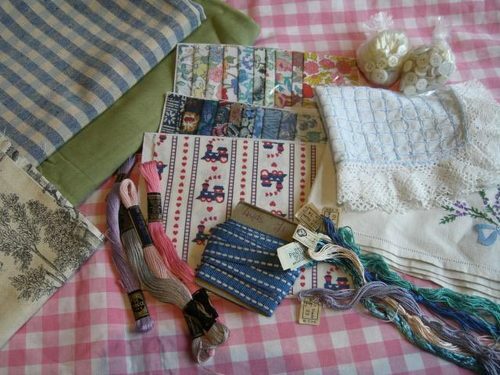 Fortified with bacon sarnies, I had a great time at the Textile Fair. I got there for 10am and it wasn't too busy so I could have a good look at everything. The stalls with vintage clothes were amazing, christening gowns, tea dresses, cotton shifts and fab hats all in excellent condition. I've always wanted an old sampler but as they are about 500 quid I'll be wanting for a bit longer I think. There were quite a few stalls with old lace, ribbon and findings, stalls with old books about every sort of needlecraft you could think of and also some stalls with people selling items they had made from salvaged fabrics and quilts. If you get the chance to go I would really recommend it, the second one of the year will be in September. Over the years I have bought some lovely quilts there, hand worked and well preserved but the prices for these have risen dramatically too. 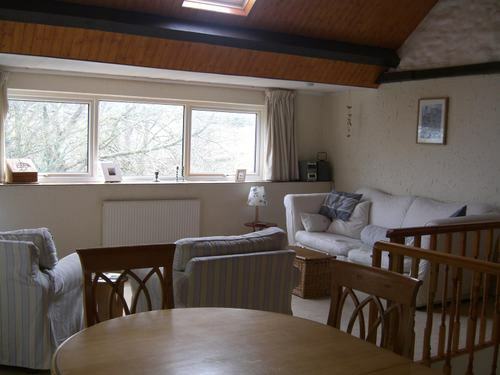 My favourite one is white, heavily quilted and came originally from the North East. I bought it about 10 years ago at the Textile Fair with some money I inherited when my Grandma died. I need to get some sewing done to use up at least some of the fabric I've bought recently!